It's such a good feeling: I feel like Christopher Columbus. Discovery 1: Mini blueberry bagels. I don't love blueberries and I don't love bagels, but together they work. Discovery 2: I love my last name. My dream was always to marry someone whose last name was easier to pronounce. One that wouldn't have to be spelled every time. MY LAST NAME IS AWESOME. It's pretty much exactly the Middle English word for Moses. And it's uncommon. And it's me! David Moyes, a Scottish soccer player. I don't know why, but I had never had Jamba and I was determined to never have it. I mean, I don't like smoothies that much. But then I kept having this craving for something cool in my throat. So Michele and I went to Jamba--in the snow. This face says "I can't believe I got Jamba Juice!" 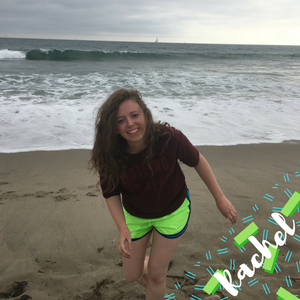 Rachel, I'm so glad you have a blog! Also, around Thanksgiving Jamba comes out with a "pumpkin smash" drink, it's like pumpkin pie in jamba form. p.s. I've written this comment like 5 times because usage has corrupted my miiiiind.